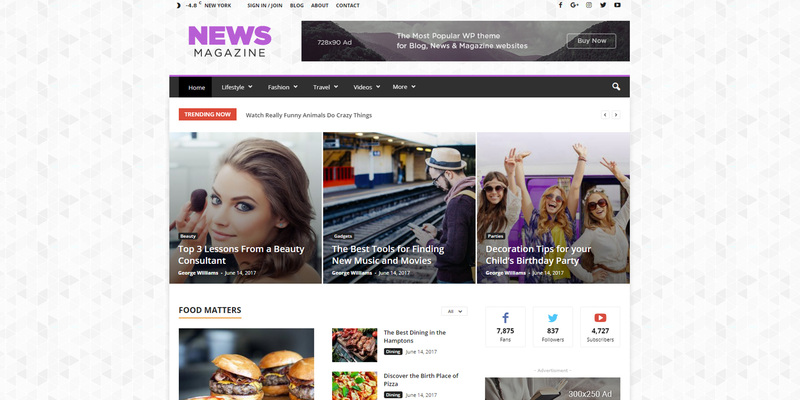 Newsmag is crafted to help you shape your desired website with the most advanced techniques of design available. 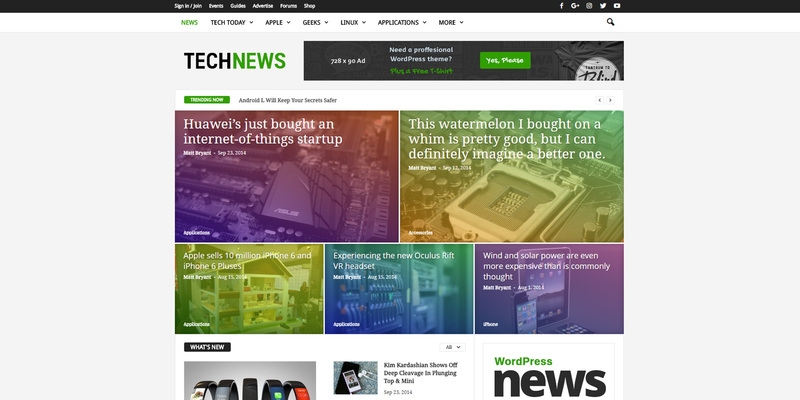 As we are dedicated to helping you build the perfect website with ease, Newsmag brings you 14 unique designs for your news magazine website. You don’t have to start from scratch! With these demos, you know exactly what template is perfectly designed to start building upon. Our front-end development team tested, retested and chose the right combination of graphic elements, colors, design architecture, and functionality, to give you a great, specialized website in a heartbeat. Choose the demo you like, click install and enjoy the thrill of having a really great start! Each demo loads the website structure and the design elements you saw in our official presentation. The best news is that each of these beautiful templates is fully customizable. You can change fonts, colors, layouts, mix blocks, modules and add the elements you like. You will have a unique website in no time. 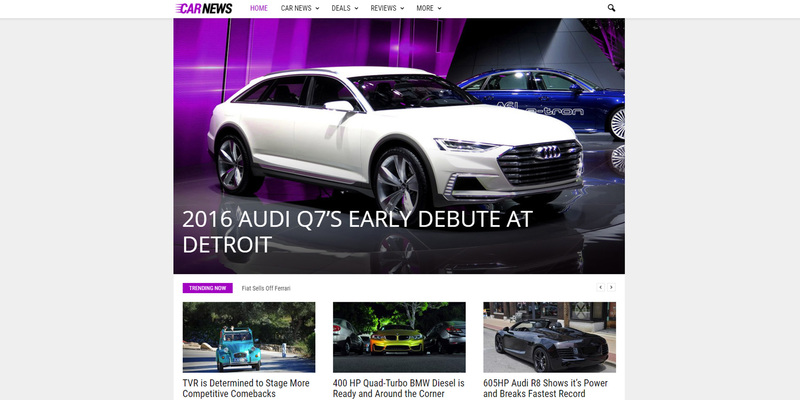 Choose the Default Demo to start building your website on a professional news layout. The template is clean, beautiful, and the structure comes with an emphasis on dynamism. News Magazine Demo is an invitation to joyful experiences. Built using vivid colors on a neutral background, this demo is the right one when you are looking for a modern, effervescent and full of energy design for your project. Discover the pleasure of food blogging with a special template! 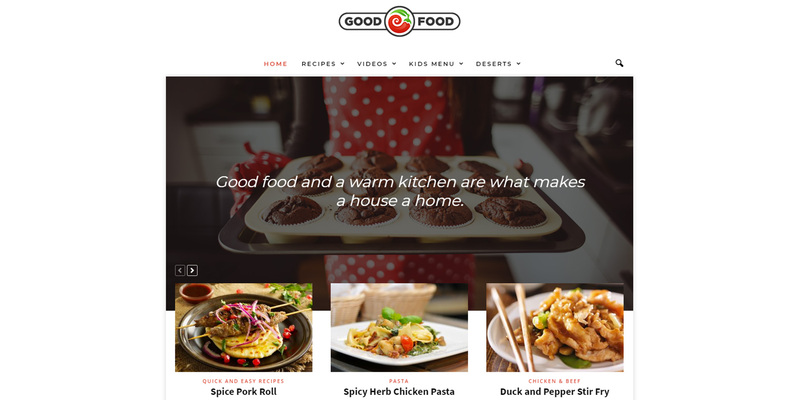 The Good Food Demo brings you the warm and comfortable design you need to create a successful website with ease. Make your bold ideas speak for themselves! Combining clean & neutral general aspects with powerful titles, the Clear Voice Demo is perfect for the important and bold ideas you need to share with the world. 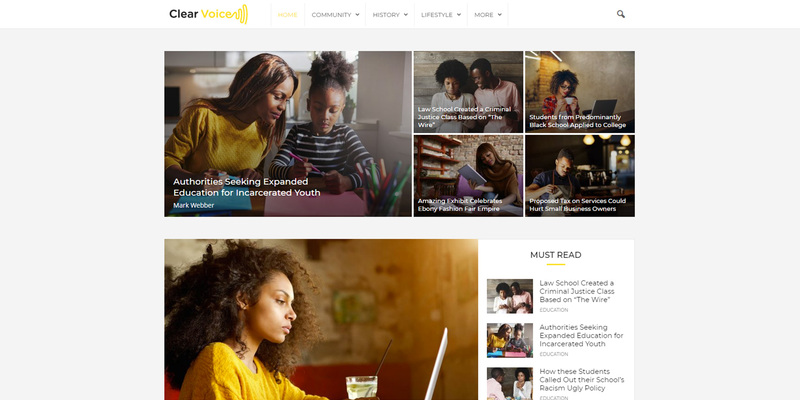 The community, education, college, and local news websites can be easily built on this design. What is the perfect form of a sound? You don’t need to struggle to find it for your website. We’ve built for you the Sound Square Demo: dynamic, fluid, delightful, just like your favorite music in the afternoon. Redefine the style with this modern template. 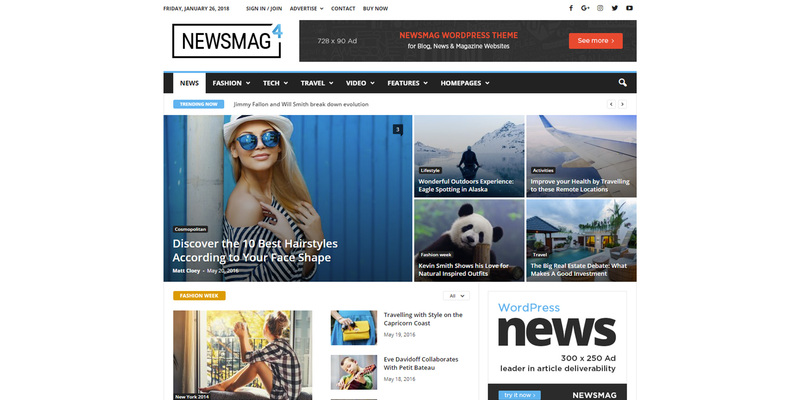 The Fashion News Demo will give your website an elegant magic touch. Designed to be loved, the Fashion demo is the great start you were looking for. Tech News Demo is the house of gadgets, software, hardware, internet, communications, or any other technical domain you can think of. 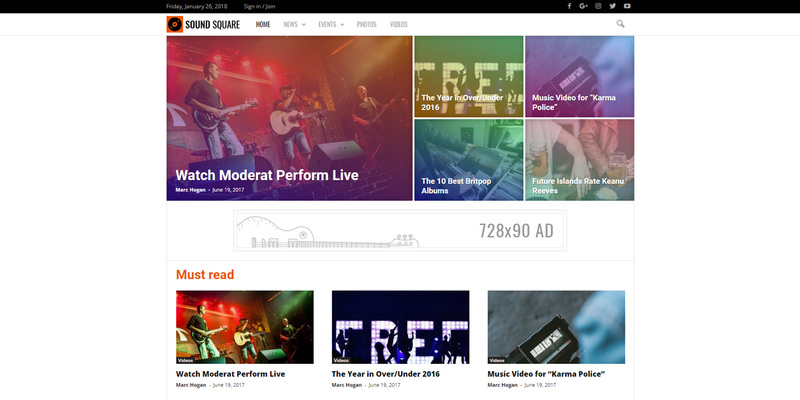 All your news, photos, video, and audio content fit perfectly in this dynamic design. Get ready to broadcast all your videos and go viral! 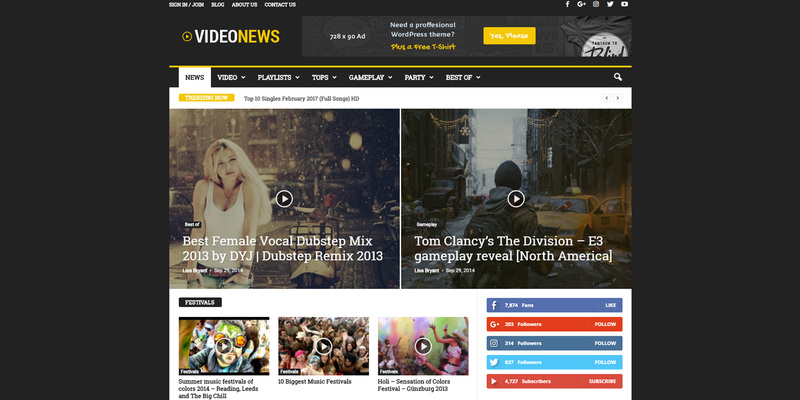 The Video News Demo is designed to emphasize precisely your video content. Now you can use Youtube, Vimeo or self-hosted videos. 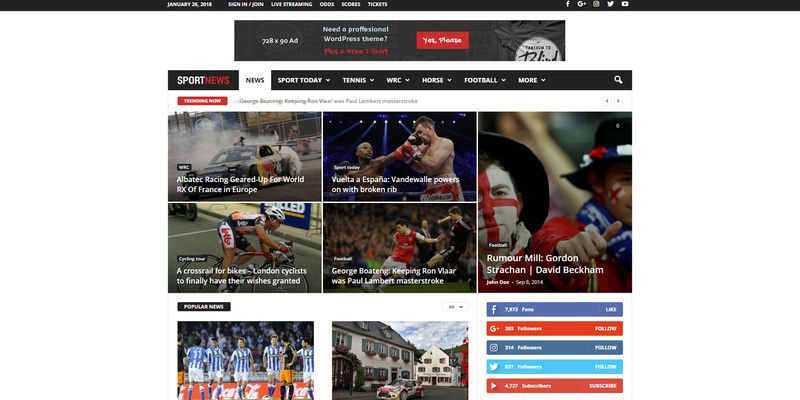 A trendy looking design for your sports website. Capture all the latest breaking news and videos from the industry with the Sports News Demo. Less is more! This is the golden rule we used in designing this clean and elegant Classic Blog Demo. Creative layouts mixing grid shapes and simple lines built to bring a more personal approach to your content for the readers. If you are an enthusiast for the latest automobile technology or you just have to build an automotive related website, you have to try the Cars Demo. Describe the pure pleasure of driving with just one click! This energetic layout is designed to emphasize amazing, strong, and moving images. 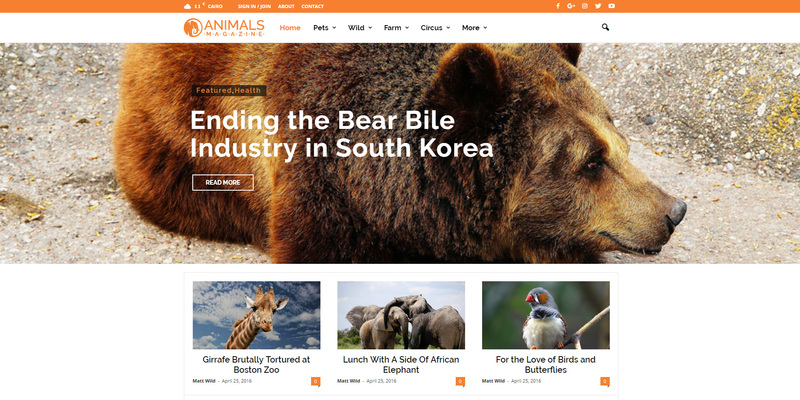 Enjoy the effervescence of emotions with a unique website built on the Animal News Demo! Information means power! Load this specially designed template to emphasize strong and active news, without anything to distract the reader’s attention. Captivate your visitors with the Magazine demo! 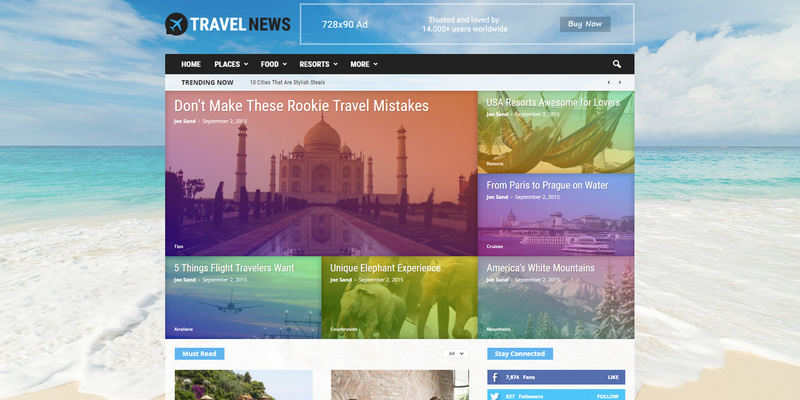 Whether you want to share your amazing travel experiences or to promote exotic travel destinations, this stylish template is the right choice for you. The Travel Demo is designed to speak with passion about feelings and adventure!